As part of Month of the Child and Child Abuse Prevention Month, April 2019. 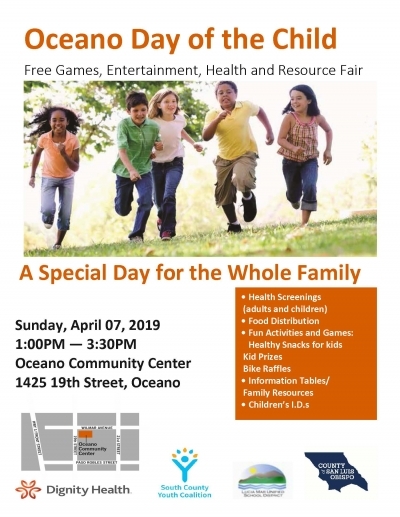 Event runs 1-3:30pm at the Oceano Community Center. Vendors can email the contact listed on the flyer.